Remember that time I was published in The Knot magazine? This is that time! 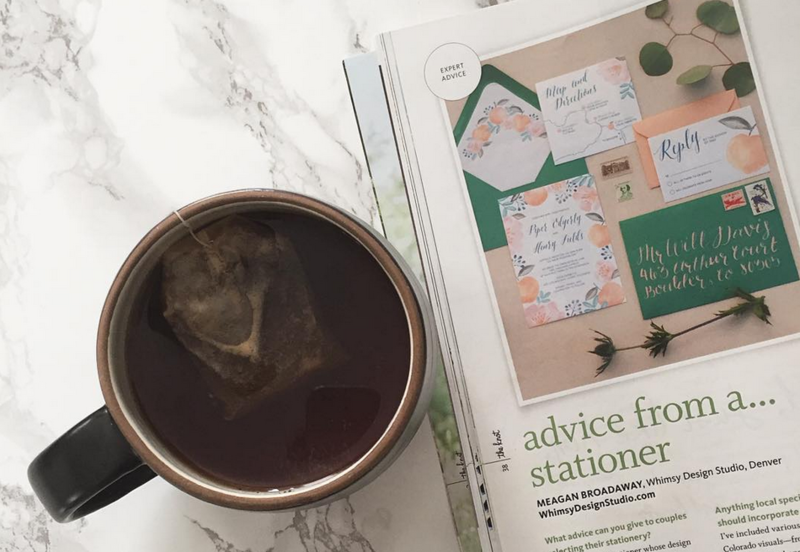 I am over the moon excited to announce that my invitation advice is in print in the Spring/Summer 2016 issue of The Knot Colorado – on local news stands now! Lucky for you, you can also read my “expert advice” online on TheKnot.com. What’s wonderful about custom design is that you don’t have to know exactly what you want before starting the process. Choose a custom stationer whose design aesthetic matches yours, and if your personalities click, then half the work is done for you! 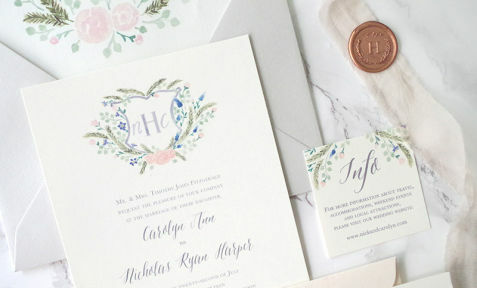 In my design process, the first step is always an initial consultation where I meet with my couples to discuss their overall vision for their day in general, and then dive into more specifics about the actual stationery. Once I can define a couple’s style, then I can brainstorm more concrete ideas for their unique invitations and dream up something they may not have thought of themselves. Colorado is such a beautiful backdrop to any wedding that there’s ample inspiration to pull into your stationery! I’ve included various degrees of iconic Colorado visuals—from mountains and aspen leaves to hops celebrating the local craft beer scene. Hands down my favorite way to pull in some local flair is by incorporating a custom map into a client’s suite. Maps are a wonderful addition to any stationery suite because not only are they informative—offering locations for the wedding festivities—they can also share some of the couple’s favorite local spots, notable landmarks or fun nearby activities. If you could say you had one secret weapon, what would it be? My “secret weapon” is my designer’s intuition; that instinct is what allows me to take a couple’s ideas and translate that on to paper for a 100% original design. For me, it’s fun and kind of like solving a puzzle. I have to decipher a client’s personal style and figure out what parts we can use to achieve their overall wedding vision in a beautiful, yet still informative way. What are some obstacles couples encounter when choosing their stationery or designs? A lot of my clients initially think their stationery designs need to be extremely repetitive in order to match and don’t really see the bigger picture. Invitations can compliment your overall style and coordinate with your other stationery pieces without being exactly the same. I find it is always more visually interesting to use a select mix of papers and colors to distinguish each piece. What are the biggest pieces of advice you find yourself telling couples throughout the whole process? Mistakes to avoid? Things not to forget? I’m always reminding my clients to be true to what they want and not to settle! 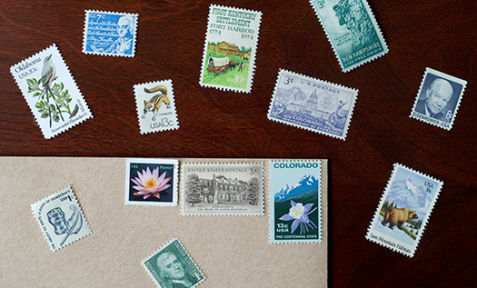 A big part of the custom design process is communicating with your stationer not just what you like, but also what you don’t like and most importantly, why. Don’t let any one else’s opinion sway you in your decision making process. You have a vision for your wedding day and you deserve to be happy with every little detail! Go out and buy your copy of The Knot Colorado Spring/Summer 2016 Magazine or purchase it online today!